I am in fishing fever since 26 years, at the beginning I started spinning with my dad and my brother for fresh (pike and perch) and saltwater fish (garpike and sea bass). Since 6 years I am active in fly fishing and tying. My passion for nature and the respect to it is what I live in fly fishing. I prefer to hike through the valley, enjoy the landscape, feel the nature and spot the fish. But spend some time with my friends is worth everything to me. I am in love with the Bavarian Prealps, the scenery and the people living there are phenomenal. When I go there I feel free, the water, the mountains and for sure the tasty beer. The rivers around the Chiemgau are definitely my favorite in Germany. Mostly I go there with dry fly for beautiful grayling and trout. For me the most wonderful time for fishing is in May. Springtime makes me feel happy, the nature comes to life again and hatch comes with it, the fish is rising and me in the middle of somewhere. 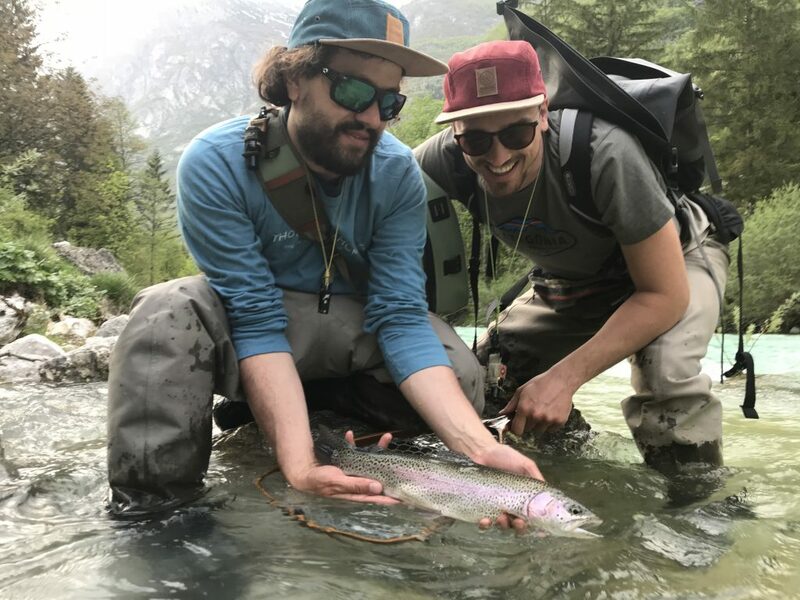 At the moment my favorite destinations are by far Italy around Belluno with the beautiful big brown trouts and for sure-fire the Soca Valley. Particular in the Soca Valley I like the variety of the waters between nice little creeks, canyons and big rivers, the region offers all the heart could possibly desire. Hm, at the moment I really don’t know, I am really happy with the water in Germany, Austria and Slovenia. But for sure I wouldn’t say no to Canada, Swedish Lapland, Los Rogues or whatever. I prefer the perfect combination between lightness and strength, I think that’s the reason why I fell in love with the Avantt. I am counting on filigree flies – a little bit of quill, some hackles, cdc on the top and the fly is ready to fish – Parachute and Klinkhammer cannot be missed in my Tackybox!